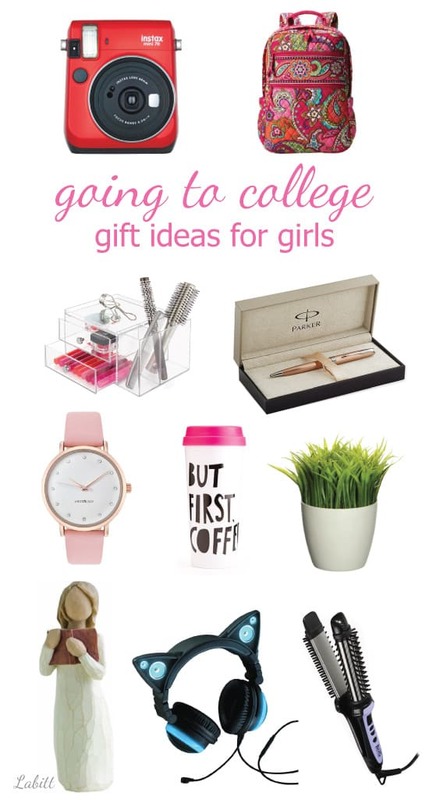 Get inspiration from this list of gift ideas for your college-bound daughter. We have brought together a list of unique gifts which are perfect for young women who are going to start their college life. You will find dorm decor, electronics, school supplies, accessories and more. With these items, your girl will be able to start her new chapter in life on the right note. Read below to discover now! Find out how you can encourage her to be a better version of herself. This pretty pendant necklace makes a great going to college gift for girls. Simple gold chain with a gold anchor that symbolizes hope and steadfastness. It looks chic and dainty. 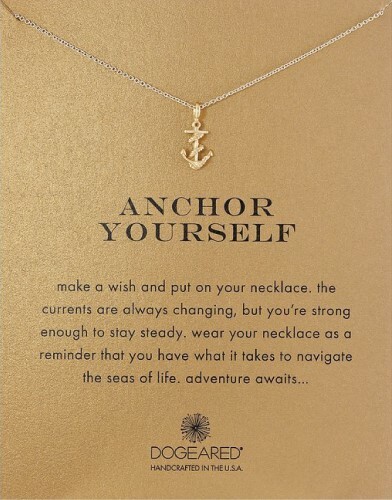 A meaningful necklace for girls embarking a new journey. She will need some good quality pajamas to lounge comfortably in the dorm room. This cute pineapple print pajama set will be her new favorite. Soft fabric, boxy style. Perfect for the college girls! 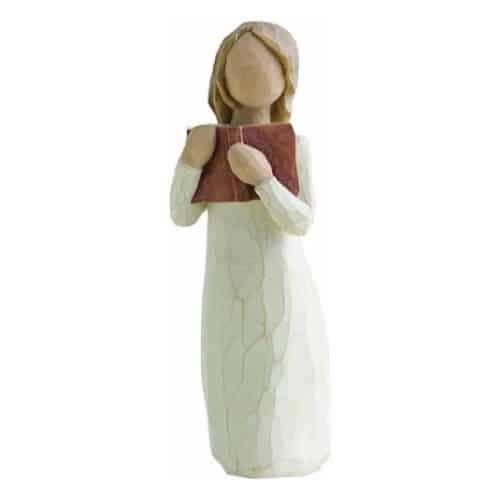 You can also get this Willow Tree figurine for the college-bound student. It is beautifully hand carved by Artist Susan Lordi. It makes a nice dorm room decoration. 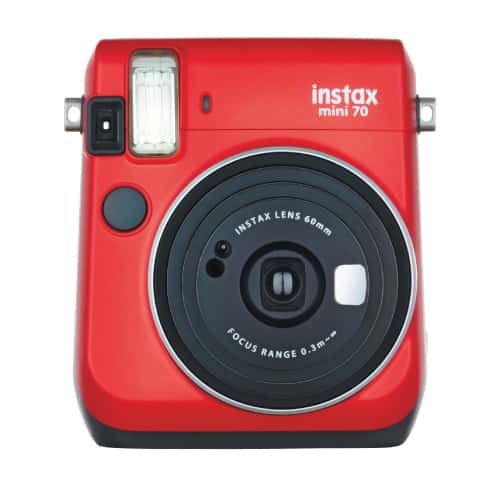 Popular instant film camera for her to capture the wonderful moments in college. Small, handy, and really fun to use! This camera instantly prints out credit-card-sized photos with rich colors. 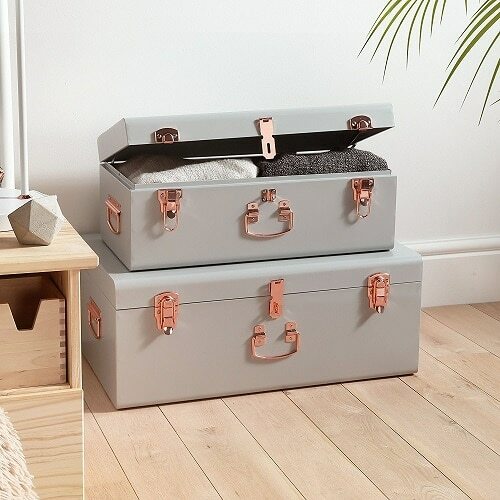 This set of two storage trunks will be useful for college use. They are stylish and functional. Two sizes to store clothes, books, food, handbags and more. She can stack them up and use it as a bedside table. Add a touch of glam to her desk with this gorgeous trinket tray perfect to keep jewelries and small school supplies. 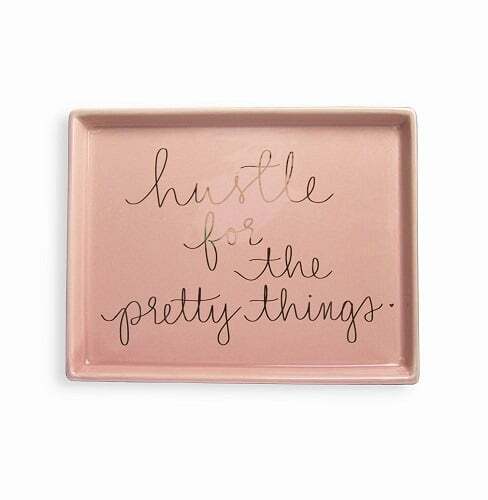 Features empowering quote in gold foil that reads “Hustle for the pretty things”. 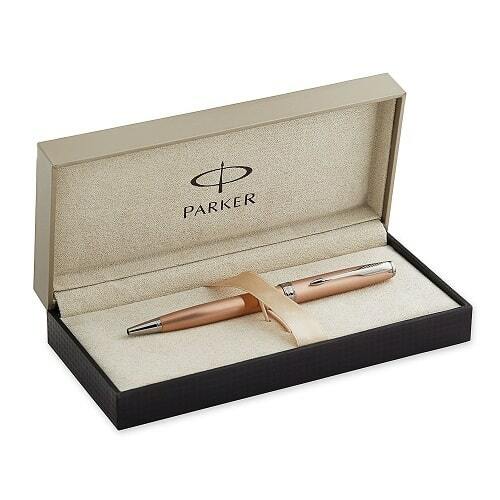 This fine pen by Parker will serve as your daughter’s loyal companion in college and years to come. Timeless, elegant design. Coated in warm pink gold particles that capture light and subtly dressed with gleaming vertical finishing. She will also need a good quality backpack for college. 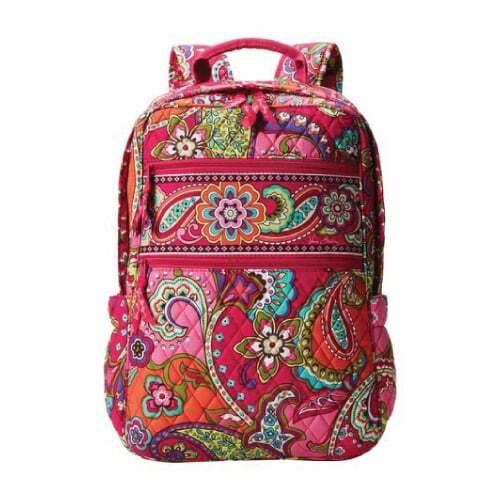 This Pink Swirls Tech Backpack by Vera Bradley is a fantastic choice. It has spacious compartments with padded cushion for laptop, side pockets for bottle, and the zip-down area on the front of bag includes ID window, card slot, zippered pockets, plus pen holders. Practical organizer for your daughter’s dorm room. 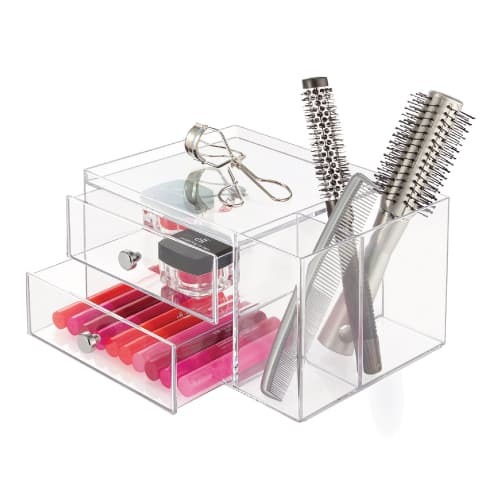 This clear plastic organizer is functional and good-looking. Features two drawers and two side compartments. It is great for storing makeup, skincare, jewelries, stationeries and more. 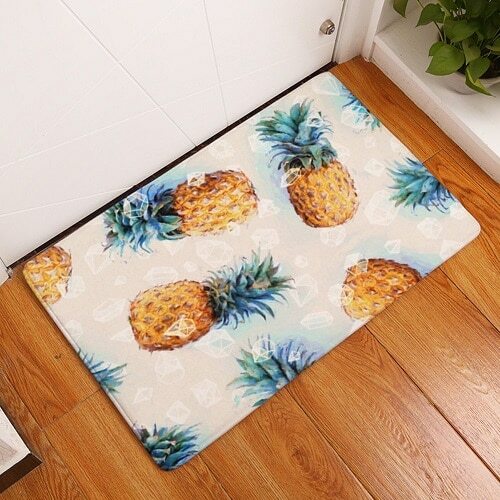 Fill in some tropical fun to her room with this pineapple mat. Cute and colorful. 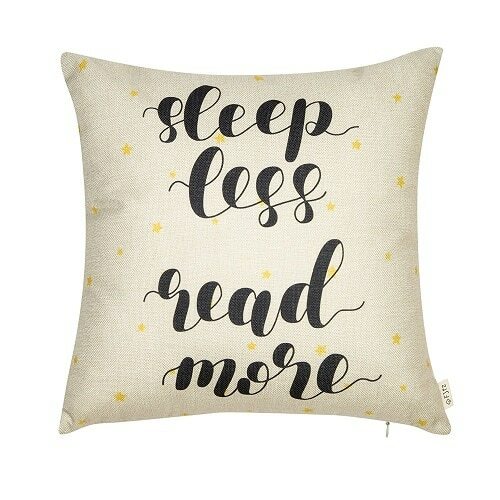 Brighten up any space! 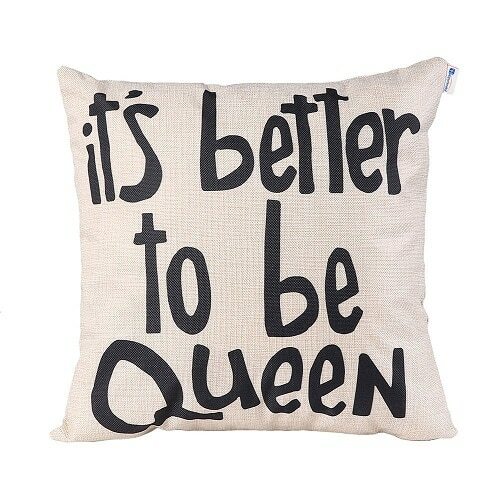 Decorative pillows with inspirational quotes are fantastic dorm room decor for girls. 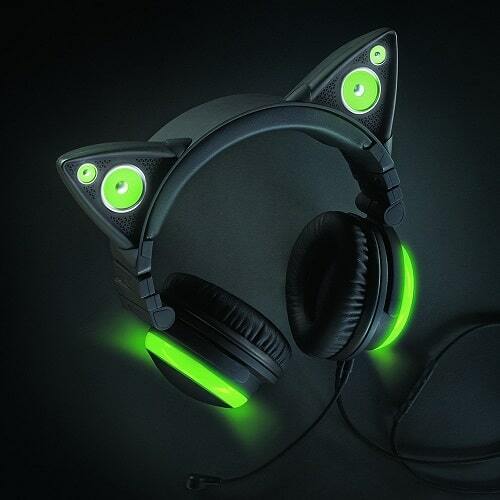 Headphones are terrific gifts for college freshmen. 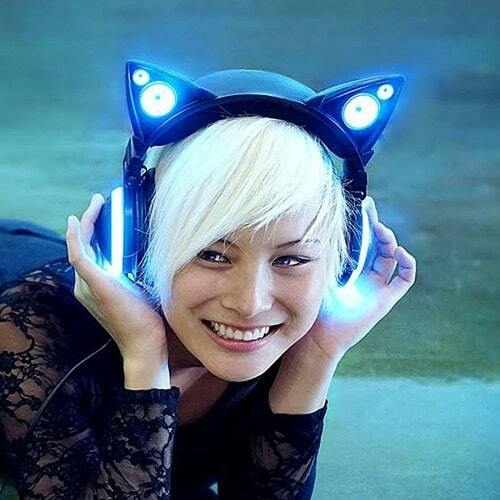 She will surely adore this cat speaker headphones. Crisp music, powerful, versatile. Enjoy your music privately with the noise-canceling earcups or turn on the external speakers to share with friends. Something green to make her dorm room looks more lively. 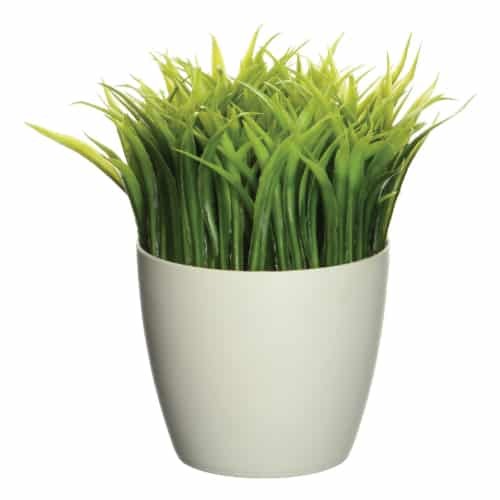 A potted faux grass that can hold pens, pencils, notes and more. A fun way to organize your desk. 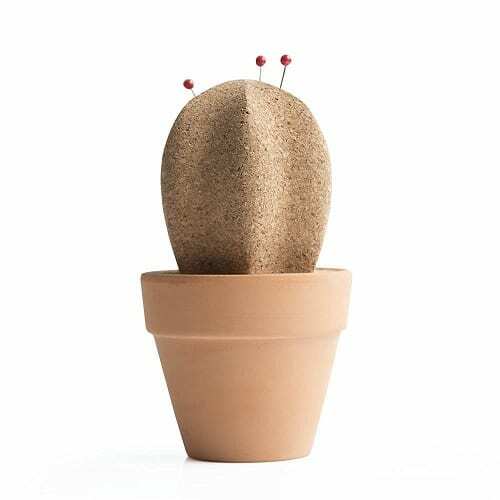 You can pin stuff like memo and photo to the cactus plant and keep knick-knacks and tiny desk clutter in the terracotta pot. Insulated tumbler with lid. Fun design, cool style. 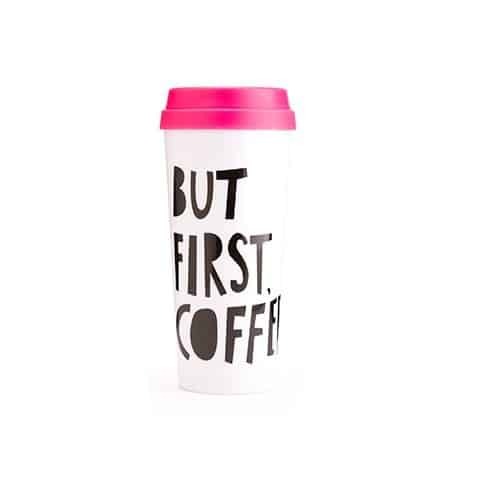 Perfect for the busy college girls to sip coffee while going to back to back classes. 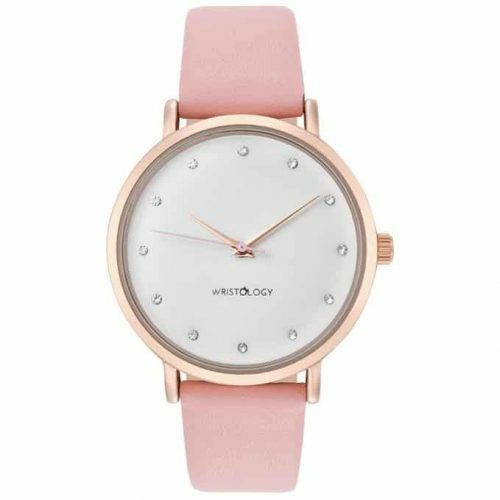 Beautiful watch for her. Minimalist design, feminine style. Featuring rose gold case, white face embellished with crystal time index and pink leather strap. Matches well with any college outfit she has. Good skincare, makeup, hair styling tools are good off-to-college gifts for daughter. 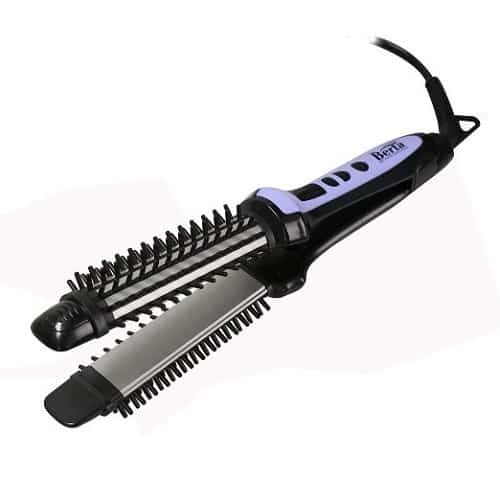 Help her to stay preppy with this 3 in 1 hair styling tool that combines curling wand, ceramic flat iron and hot brush straightener. Quick heating with adjustable temperature, lightweight, convenient. Skincare set that includes body lotion, hand lotion and lip balm. Made from natural ingredients with moisturizing properties. Give you soft and smooth skin. And that wraps up our college student gift guide. Check out our Pinterest for more gift ideas!